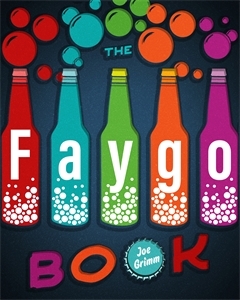 We are thrilled to have local author, Joe Grimm to Pages to discuss his most recent book, The Faygo Book. Joe will be joined by Detroit Karen Dybis author. Karen has written several books about Detroit including, Better Made in Michigan: The Salty Story of Detroit’s Best Chip. Come out and help us celebrate these two Detroit authors and food staples! The story of Faygo, Detroit’s beloved soda pop, begins over a hundred years ago with two Russian immigrant brothers who were looking to get out of the baking business. Starting with little more than pots, pails, hoses, and a one-horse wagon, Ben and Perry Feigenson reformulated cake frosting recipes into carbonated beverage recipes and launched their business in the middle of the 1907 global financial meltdown. It was an improbable idea. Within the pages of The Faygo Book, author Joe Grimm carefully measures out the ingredients of a successful beverage company in spite of dicey economic times in a boom-and-bust town. Take a large cup of family—when the second generation of Feigensons gambled with the chance at national distribution while the odds were stacked against them—and add a pinch of innovation—not just with their rambunctious rainbow of flavors but with packaging and television advertising that infused Faygo with nostalgia. Mix in a quality product—award-winning classics (and some flops) that they insisted on calling "pop," despite the industry’s plea for a more grown-up name. Stir in a splash of loyalty to its locally hired employees, many of whom would stay with Faygo for decades. These are the values on which Faygo has hung its hat for generations, making it an integral part of communities across the country.